I need to get organized! I have at least 5 paintings started and not finished. I think that some are destined to always be partially done, but others deserve my attention. It is so difficult for me not to start a new piece once the vision hits. 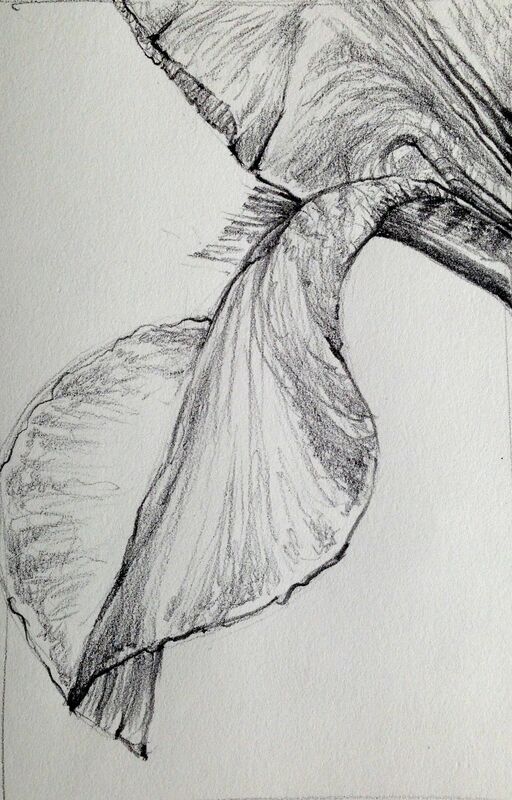 Sketching is so much fun, I love the graphite, the spontaneity and immediate gratification. Casein is a difficult medium and one that forces you to work in stages. However, I like the challenge of tackling something new and different. The color of the casein is rich, the layers offer a lot of possibility. 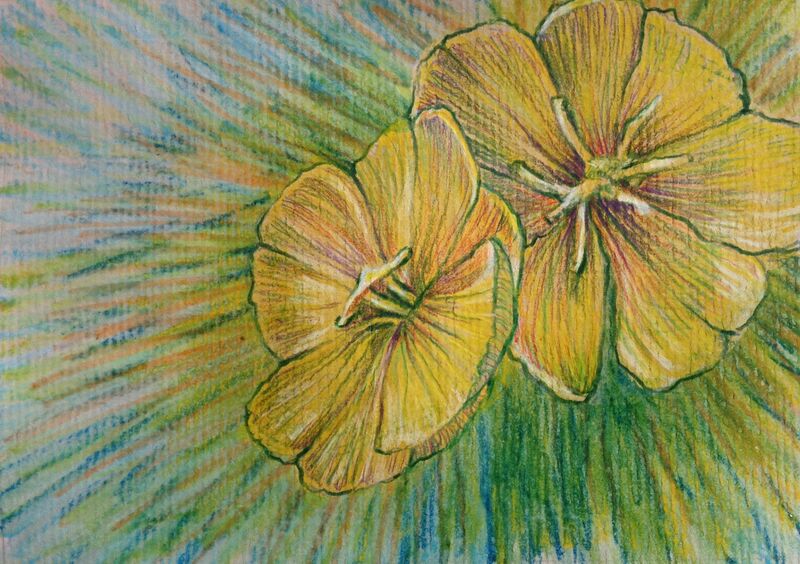 Below is a piece I did while traveling of an evening primrose. These were all over Frisco and Avon (outer banks of North Carolina). They indeed only bloom at early evening and through the night! If you get up really early, some are still open. They are charming. This entry was posted in Uncategorized and tagged casein, evening primrose, iris, sketch, small paintings. Bookmark the permalink.